A luscious, aromatic sauce that builds the flavours of your roast pork, perfect for a rich Christmas lunch. Whisk in 150g KNORR Jus into 1L hot water. Bring to the boil stirring continuously. 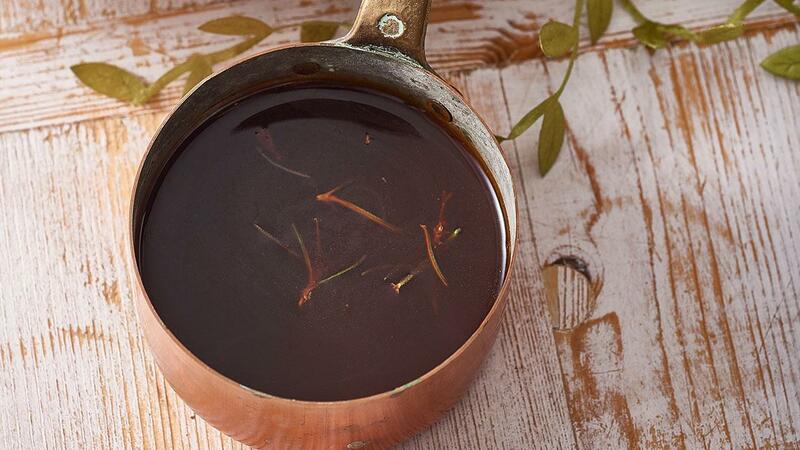 Add KNORR Italian Glaze with Balsamic and rosemary, reduce heat and simmer for a further 2 minutes. Serve. For a perfect crackling pour boiling water over the skin and pat dry. Place in cool room overnight, uncovered. Rub with oil and salt and start in a hot oven over 220 degree Celsius.